Thank you for visiting 5JA’s class blog. We are really excited to share all of our learning with you this year. 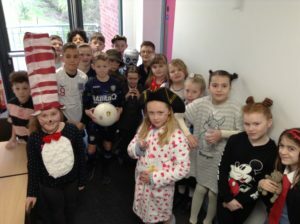 Be sure to visit regularly to find pictures, memories and records of what takes place at Allerton Bywater Primary School. Our new topic is entitled ‘Keep on Moving’. As the title suggests, we are having a whole-school focus on different means of transport. In Year 5, we will be focusing our attention on aeroplanes. We will look into the lives of significant people related to this topic, including The Wright Brothers and Amelia Earhart, in order for us to develop our understanding of how planes have evolved and developed over time. Our school trip to the Yorkshire Air Museum (during week 3) will no doubt be a highlight of the topic, enabling us all to explore and witness different aircraft up close. In Science, the children are once again going to be busy with experiments, tests and investigations during this half-term. We will have a focus on Forces, enabling the children to develop their existing knowledge of friction, air resistance and gravity. A series of hands-on, fun experiments have already been planned, which will hopefully bring out the same scientific thinking skills and engagement I witnessed during Science Week! 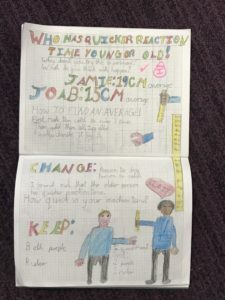 Keep an eye on the 5JA class blog for images of what the children get up to, especially in Science. With regards to English, the children will be ‘Writing to Inform’ during this half-term. The book we will use to guide our learning will be ‘Who was Amelia Earhart?’. This informative yet inspiring book ties in brilliantly with our Topic, and will see the children quickly learn about her fascinating life and mysterious death. This unit will see the children produce three big-writes, starting with a biography about the life and career of Amelia Earhart. In Maths this half term, our main area of focus will be ‘Decimals’. Following on from last half-term’s learning, the children will develop their understanding of decimals, fractions, percentages and the relationships between these three concepts. They will work on ordering, comparing, rounding and multiplying / dividing decimals during the first few weeks. Like previous half-terms, those children who demonstrate a good level of understanding will be challenged through reasoning and problem solving activities whereby they must use and apply their existing skills in order to solve problems in different contexts. Our PE unit for this half-term is in direct preparation for the Brigshaw Learning Partnership annual Sports Day. Held at John Charles Centre for Sport, all Year 4, 5 and 6 children from across the Partnership will compete against one another in a competitive, yet fun event. In Year 5, we will be competing in Relay races, Handball and Tag Rugby matches, and so we will spend our PE lessons this half term in preparation for this event. For children with longer hair, may I please request that it is tied back during PE lessons, and earrings are removed / taped over purely for health and safety reasons. Our PE lessons will continue to take place on a Tuesday, and so ABPS PE kit is required for all children on this day. Just a reminder that this is dark / navy shorts, with a plain white t-shirt. As the children are now getting older, in the interests of hygiene, it is expected that all children bring a complete change of clothes to participate in PE lessons. Home reading – Please continue to encourage your child to read as much as possible at home. In order to be registered as a ‘Reading Champion’, your child must have evidence in their school planner to say that they have read a minimum of 4 times throughout the week. Further to listening / observing your child read, it would be fantastic if you could have a general discussion about what they have read also. This doesn’t have to be a 10-question-grilling, but a simple conversation about the characters, events, feelings etc can be really powerful. By this stage of education, most children can read fluently, but it is their understanding and ability to discuss a text in enough detail that is crucial. 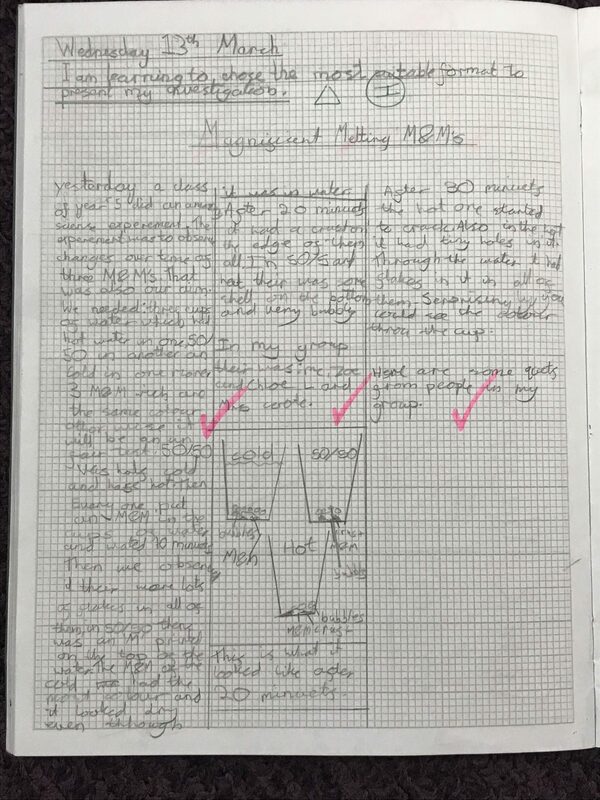 Year 5 homework will continue to be sent home on a weekly basis – for English, Maths and Spelling. The nature of the homework set will always be based upon current learning in class, and with an appropriate yet fair level of challenge. 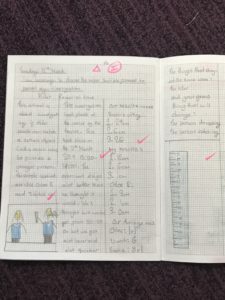 Where homework is handed in that is substandard in terms of presentation – or simply incomplete – then the children are aware that they will have to catch up / re-do this in their own time (break time or lunch time). Homework will always be set on a WEDNESDAY, and is to be returned to school no later than a MONDAY. Times Tables Rock Stars: The buzz around school in relation to times tables and Maths in general is something that makes me immensely proud. Weekly leader boards (both in class and whole school) seem to have really engaged and motivated the children when it comes to learning their times tables. Times table knowledge and the quick-recall of multiplication facts is vital for so many areas of Maths, not only this year but also Year 6 as well. Please encourage your child to use the TTRS app / website as much as possible, using their individual log-in details. On this subject, can you please echo the message from me of keeping passwords safe and private. Children should never share a password with anybody, including friends, and should definitely never log in / play as anybody but themselves. Intensive Swimming lessons are set to continue on a Tuesday and Thursday. Please ensure your child has with them the equipment they will need – swimming shorts / costume, towel, goggles etc. If you have any questions, issues or concerns about your child’s learning then you are more than welcome to come and speak to me in person. I am always available straight after school for a quick chat, or alternatively an appointment can be made should you feel the need to do so. Thank you to those parents who attended the recent ‘Parent Consultation Evening’ appointments. It was lovely to meet you all, again (! ), and I hope you found the discussions both useful and informative. From my perspective, it was brilliant to hear how pleased and proud you are of your child’s progress this year, and how impressed you were with their books. I am proud of all the children I teach, and as long as they continue with the same work-ethic and respond to their targets set, see no reason why they cannot reach their end of year targets. Our new topic is entitled ‘Mad Science’. As the title suggests, we are having a whole school push on ‘Working Scientifically’ this half term. This will see an increase in experiments, investigations, and ultimately – FUN! 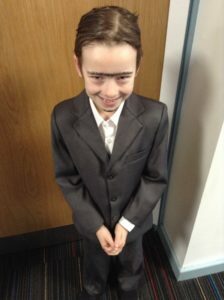 We have endless investigations planned for the children to get stuck into, which will be spread over the course of this topic as well as a dedicated Science Week – more news on this to follow. 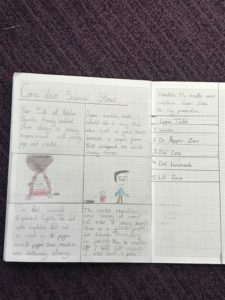 As part of our Science-themed topic, the children will also have the opportunity to design, make and evaluate the effectiveness of a real-life product. Without giving too much away, their project will be involving the country of Nepal, as well as a large quantity of tomatoes! With regards to English, the children will be ‘Writing to Entertain’ during this half-term. The book we will use to guide our learning will be ‘The incredible adventures of Professor Branestawm’, written by Norman Hunter. This amusing yet inspiring book ties brilliantly in with our Topic, as the main character is the creator of many weird and wacky inventions! 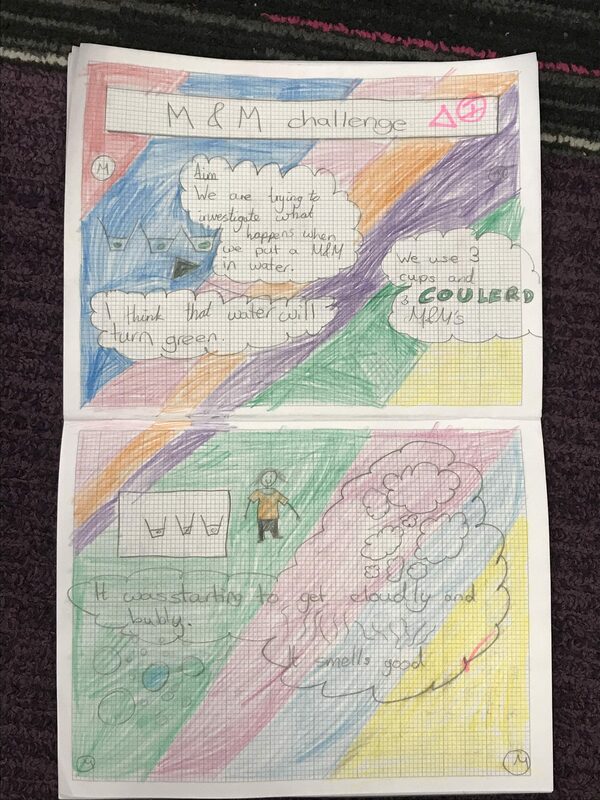 This unit will culminate in the children designing and promoting their own invention, before pitching it to a team of investors – much like the TV show Dragon’s Den. In Geography, we are going to be focusing on developing our geographical skills, place knowledge and also hopefully enhancing our vocabulary. This will be done through studying ordnance survey maps, their symbols, as well as 6-figure grid references. We will begin initially by looking at the UK and local area, before comparing what we learn with the human and physical geography of South America. I expect quite a few differences! In Maths this half term, our main area of focus will be ‘Fractions’. 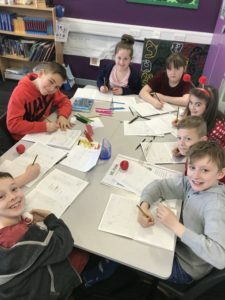 Following on from last half-term’s learning, the children will develop their understanding of fractions, improper fractions, mixed numbers and models. They will work on ordering, comparing, adding, subtracting and also counting using all of the previously mentioned. This will then lead us into decimals and percentages, which is a crucial area of Mathematics in Year 5. Like previous half-terms, those children who demonstrate a good level of understanding will be challenged through reasoning and problem solving activities whereby they must use and apply their existing skills in order to solve problems in different contexts. Our fourth PE unit for this year will be ‘Cricket’’. During this unit, the children will develop their existing throwing and catching skills in order to ‘field’ the ball effectively. This will then move into some bowling and batting work, which can then be translated into competitive, match-play situations. For children with longer hair, may I please request that it is tied back during PE lessons, and earrings are removed / taped over purely for health and safety reasons. Our PE lessons will continue to take place on a Tuesday, and so ABPS PE kit is required for all children on this day. Just a reminder that this is dark / navy shorts, with a plain white t-shirt. As the children are now getting older, in the interests of hygiene it is expected that all children bring a complete change of clothes to participate in PE lessons. Home reading – Please continue to encourage your child to read as much as possible at home. In order to be registered as a ‘Reading Champion’, your child must have evidence in their school planner to say that they have read a minimum of 4 times throughout the week. 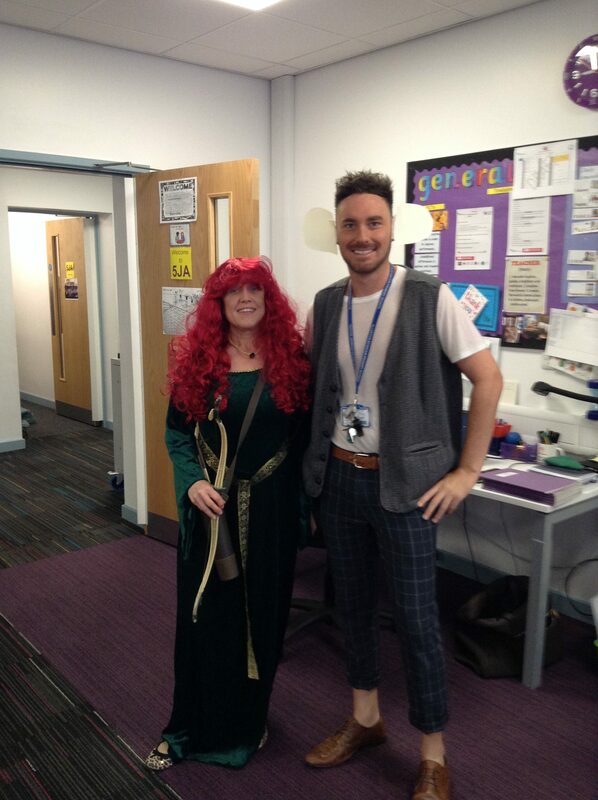 Juice and biscuits will always be provided for Reading Champions on a Friday, in order to celebrate and encourage the children’s achievements! 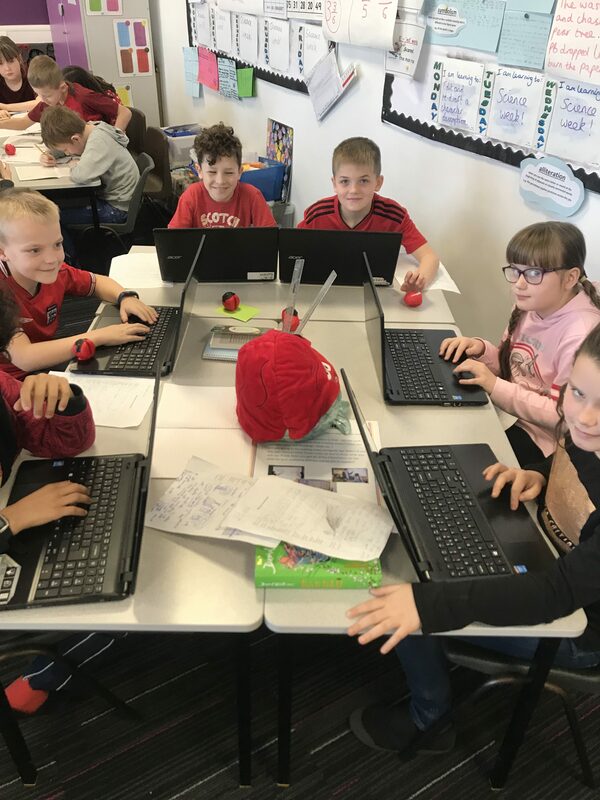 Times Tables Rock Stars – The buzz around school in relation to times tables and Maths in general is something that is really tangible. Weekly leader boards (both in class and whole school) seem to have engaged and motivated the children when it comes to learning their times tables. Times table knowledge and the quick-recall of multiplication facts is vital for so many areas of Maths, not only this year but also Year 6 as well. Please encourage your child to use the TTRS app / website as much as possible, using their individual log-in details. We do have a girl in Year 6 who averages 0.6 seconds per correct answer, so the gauntlet is laid down to all users of TTRS – Can you beat her? Your children really do make me proud each and every day. They arrive at school ready for learning, embrace each and every lesson, challenge themselves, never give up, and produce work that they should be immensely proud of. I am sure you all do it anyway, but please remember to ask them about their day: What have you learnt today? What did you do in (lesson) today? What rating would you give your behaviour out of ten today and why? Tell me three things you did today that were kind, etc. Focusing on the positives, learning from mistakes and reflecting on a day is a really important skill to develop as they grow up. Apologies for the recent lack of updates! We have experienced some technical difficulties with our blog, and so updates were impossible! Below is a selection of images to show what we have been up to since we last posted, including a fabulous Roman Topic Launch Day! How can I make a bulb brighter / dimmer? What happens if a switch is open and why? How can I make a buzzer louder / quieter? Is it possible for a circuit to light a bulb, sound a buzzer and work a motor at the same time? Here are some images from this afternoon! Our new Topic is entitled ‘Food, Glorious Food!’ and will be split into 2 main focuses – History and Cooking. During this half term, Year 5 will be studying the Tudors, with an in-depth look at their houses, religions and societies in general. Tying in with this topic, the children will have the opportunity to prepare for and take part in a Tudor banquet. This will help them to develop their knowledge that some food is grown, reared and caught, before using their culinary skills such as slicing, chopping, peeling and kneading to prepare a variety of savoury dishes. In Science, we are going to be focusing on ‘Electricity’. This investigative topic will see the children learn about the real-life uses of electricity, as well as raising awareness about the dangers of it. We then look at circuits, with the children given the opportunity to investigate how lamps can become brighter / dimmer, as well as making buzzers louder / quieter. Literacy-wise, the children will begin by focusing on a ‘Writing to inform’ unit that ties in nicely with our Tudors topic. We will use the ‘Tudor Tales’ book, written by Terry Deary, to provide context to our learning. In Maths this half term, our main area of focus will be ‘Multiplication and Division’. We will begin initially with a look at multiplying and dividing by 10 and 100, before moving into more formal methods of division. Like last half term, those children who demonstrate a good level of understanding will be challenged through reasoning and problem solving activities whereby they must use and apply their existing skills. Our second PE unit for this year will be ‘Gymnastics’. During this unit, the children will develop their existing balancing and movement skills using a range of equipment and apparatus. For children with longer hair, may I please request that it is tied back during PE lessons, and earrings are removed / taped over purely for health and safety reasons. Our PE afternoon has changed since last half term, and lessons will now take place on a THURSDAY. As usual, ABPS PE kit will be required for all children on this day. Just a reminder that this is dark / navy shorts, with a plain white t-shirt. As a school, our weekly ‘Reading Champions’ competition is set to continue and it would be fantastic if we could keep up the momentum started during Autumn 1 with this. 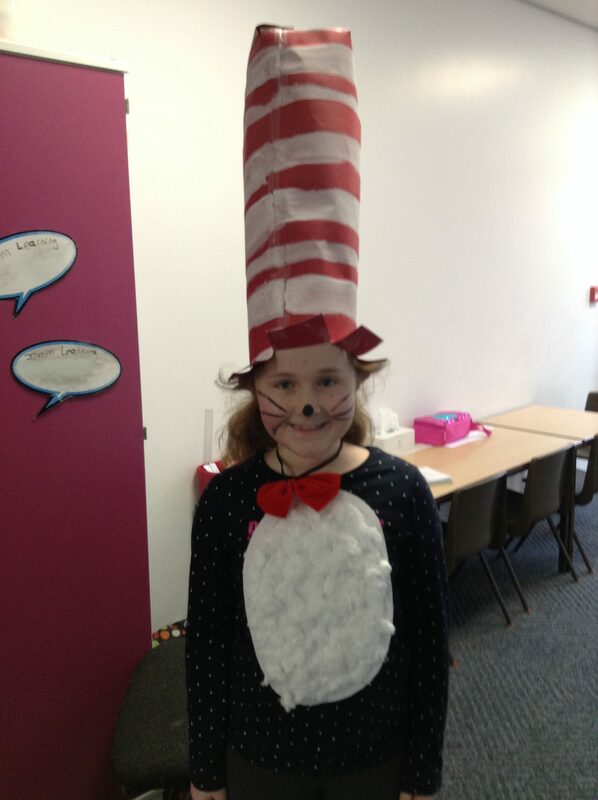 As a class, 5JA regularly had between 10 and 12 children reading at home EVERY NIGHT, which is a fantastic effort. Just a reminder that in order to become a reading champion – and to receive juice and biscuits on a Friday – your child must read at home 5 times during a week, with evidence of this written in the school planner. It is something I will remind the children about regularly in class, and would be great to have this echoed and supported at home. Thank you in advance! Year 5 homework will continue to be sent home on a weekly basis – for English, Maths and Spelling. The nature of the homework set will always be based upon current learning in class, and with an appropriate yet fair level of challenge. Where homework is handed in that is substandard in terms of presentation – or simply incomplete – then the children know that they will have to catch up / re-do this in their own time (break time or lunch time). Homework will always be set on a WEDNESDAY, and is to be returned to school no later than a MONDAY. Thank you to each and every parent that attended the recent ‘Parent consultation evenings’ in school. These meetings are massively important to forge a healthy home-school relationship, which ultimately has a positive impact upon your child. It was lovely to meet some of you for the first time, and was a great chance to share some of the fantastic observations and comments I have about the children I teach every day. If you have any questions, issues or concerns then you are more than welcome to come and speak to me in person. I am always available straight after school for a quick chat, or alternatively an appointment can be made should you feel it is appropriate to do so. Just a quick note from me to congratulate all members of 5JA on a really positive start to the academic year. It has been a busy and hard-working start to the year, but the children have embraced all lessons so far, including new routines and expectations. Here’s to an equally positive second week! Our Topic is entitled ‘Knowing me and knowing you’. During this half term, Year 5 will focus on Europe, North America and South America – and in particular the geographical features of these continents. We will brush up on our atlas skills to locate each continent, before studying the land use and climates of each. We will then switch our attention towards art work, with a focus on sketching a self-portrait. The children will learn important skills such as hatching, and about the importance of size and proportion when drawing in this way. In Science, we are going to be focusing on ‘Earth and Space’. This topic traditionally fascinates children of all ages, and this is regularly fed-back to staff when the children are consulted about the topics they might wish to learn about. During this unit of work, the children will investigate the movement of the planet Earth, and other planets, in relation to the sun. This will result in the children being able to explain accurately the causes of night and day, as well as time zones. Literacy-wise, the children will begin with a ‘Writing to entertain’ unit that ties in nicely with our ‘Earth and Space’ Science topic. We will use the ‘Cosmic’ narrative, written by Frank Cottrell-Boyce, to engage the children. This is an incredible story about how Liam Digby – a regular 12 year old boy – told some fibs, nearly stole a Porsche sports car, went to a theme park and then accidentally ended up in space! In Maths this half term, our main area of focus will be ‘Number and place value’. We will begin initially with a look at negative numbers in a real-life context, such as temperature. We will then move onto completing missing number problems, followed by ordering and comparing negative numbers. For those children who demonstrate a good level of understanding, their knowledge will be challenged through reasoning and problem solving activities whereby they must use and apply their existing skills. Our first PE unit for this year will be ‘Football’. During this unit, the children will focus their efforts on dribbling, passing, shooting and developing an understanding of positional play and match awareness. For children with longer hair, may I please request that it is tied back during PE lessons, and earrings are removed / taped over purely for health and safety reasons. Our PE lessons will take place on a Tuesday afternoon, and so ABPS PE kit is required for all children on this day. Just a reminder that this is dark / navy shorts, with a plain white t-shirt. (Football boots and shin-pads will not be required). In terms of ICT this year, as a school we will continue to use Purple Mash. This program offers a whole range of tools and challenges, and covers all areas of the ICT curriculum. As always, we will begin the year with a look at Internet Safety. This will include a look at the suitable usage of websites and social media sites, as well as a look at the concept of cyber-bullying. As a school, our weekly ‘Reading Champions’ competition is set to continue this year and it would be fantastic if we could begin the year with plenty of children reading regularly at home. Being a competent reader is such a vital skill to have, and opens up so many avenues for learning. 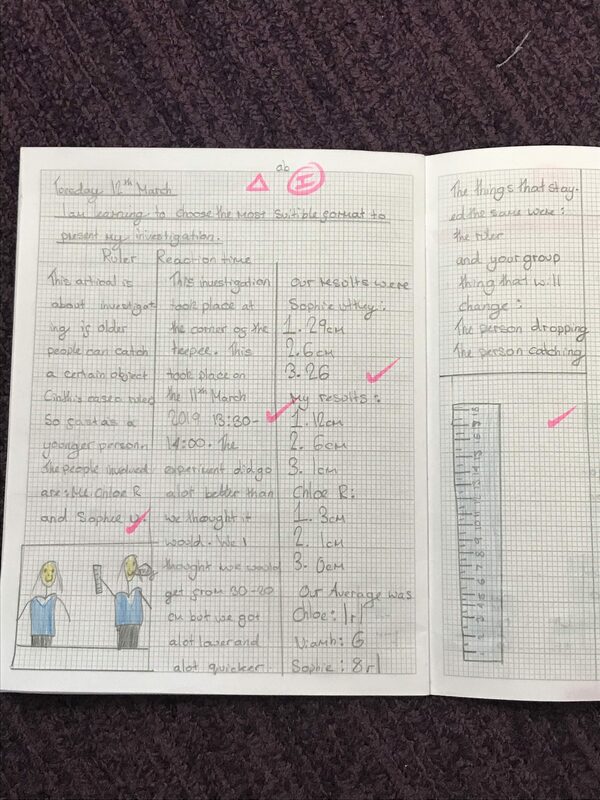 In order to become a reading champion, your child must read aloud to a parent 5 times in a week, with evidence of this written in the school planner. It is something I will remind the children about regularly in class, and would be great to have this supported at home. Thank you in advance! 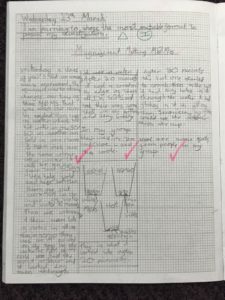 Year 5 homework will be sent home on a weekly basis – for Literacy and Maths. The nature of the homework set will be based upon current learning in class, and with an appropriate yet fair level of challenge. Where homework is handed in that is sub-standard in terms of presentation or simply incomplete, then the children will have to catch up / re-do this in their own time (break time or lunch time). Homework will always be set on a WEDNESDAY, and is to be returned to school no later than a MONDAY. Welcome to 4SS’s blog. We are really excited to share all our learning with you. Please check our blog regularly to find out what we have being doing. If you would like to leave us a comment, please do so by scrolling to the end of our blog and filling in the box provided. Thank you. 04/06/18 – The final half term began in style! 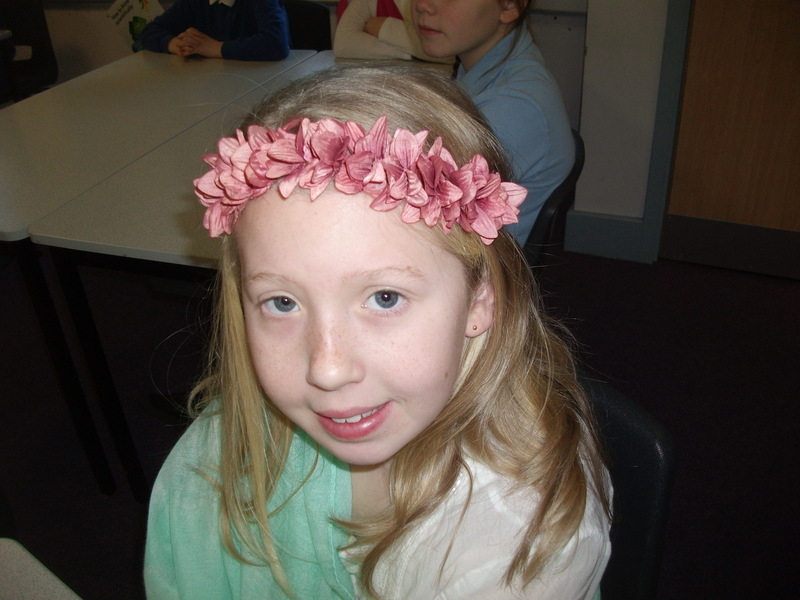 Cricket, Bollywood dancing, drama, art and more was enjoyed by everyone on our India Theme Day. Well done 4SS, you really embraced the day. 04/05/18 – Cycling Celebration Day Fun – we had a great time on the playground. It was wonderful to see how children with a scooter then let others have a turn that had been unable to bring one. Lovely sharing Year 4. Hopefully lots of you can go and see the mens’ race this evening. 03/05/18 – National Railway Museum Trip – a brilliant time was had by all. We are sure there will be some brilliant writing based on this day. 25/04/18 – Mosaic Fun – these mosaics will be placed on the wall along the wall of the new build. They will become a part of school history. 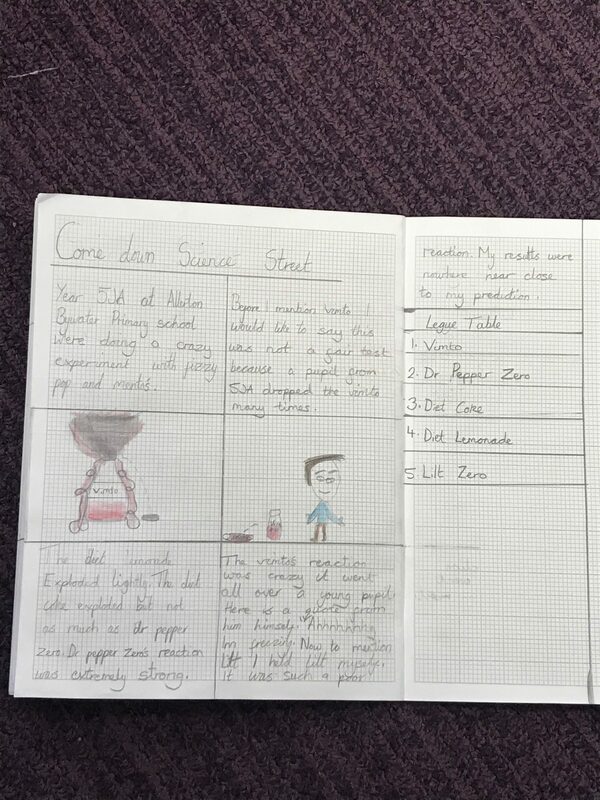 16/03/18 – Science Week Successes! We had a fabulous time creating and timing the flights of gyrocopters, dissolving skittles, making Oobleck and sorting/classifying. 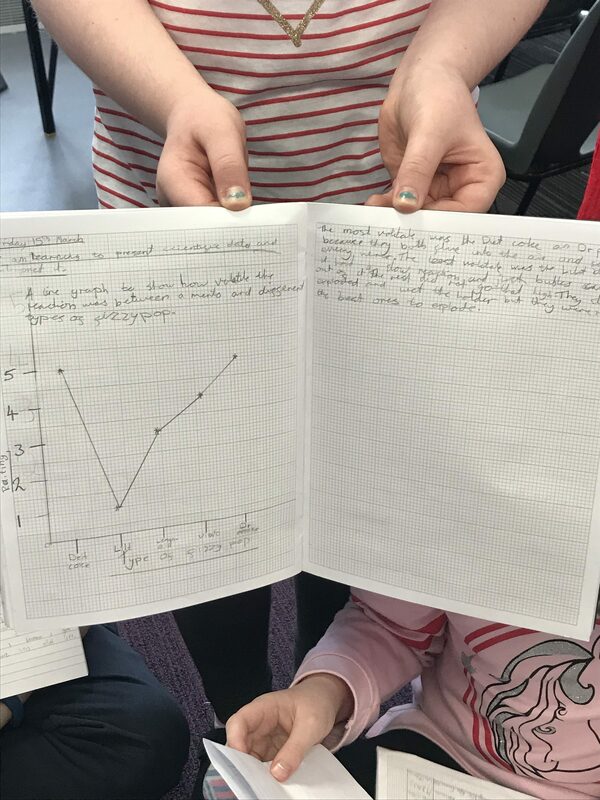 4SS then worked their socks off writing up experiments and drawing tables and bar charts – just like proper scientists! 06/03/2018 – Good morning from Herd Farm! We are up and ready for action! What a day!! We have all had an amazing first day at Herd Farm and are really enjoying ourselves. The children have all managed to settle into their rooms, organise their things and attempted to make their beds – it wasn’t easy! In their groups the children have tried 2 activities out of the 4 already, including The Giant Swing, The Crate Stack, Archery and The Assault Course. Some of the children got very muddy on the assault course but it was so much fun! All the children have pushed themselves out of their comfort zone to try new things and have achieved so much already, we are so proud of all them! They have all eaten some delicious food for lunch and dinner and then ended their first day with a muddy, snowy and wet walk to Emmerdale where we got to see the Dingle house and the Sharma factory! After the walk, all the children were more than ready for bed and after a quick change into their pyjamas they settled down for their first night. We cannot wait to see what tomorrow brings!! Here are copies of the 4SS current newsletters. 26/01/18 – The travel agency arrived in 4SS. 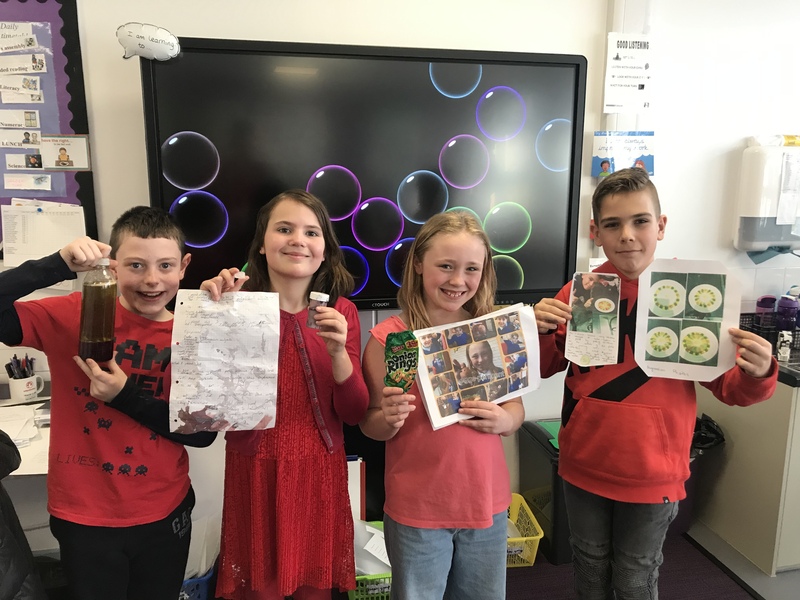 We were selling / buying an experience holiday to the ‘Conocado Cocoa Plantation’ to link with our chocolate theme this half term. 25/01/18 – We were very honored and excited to see Princess Anne here in Allerton Bywater. See the pictures of us waving our flags with enthusiasm! 24/01/18 – We have been working really hard on our listening skills, appreciation of music and knowledge of instrument types in the last few sessions. 12/01/18 – Our skipping workshop was great fun. 03/01/18 – Percussion fun in our first music lesson. 1/12/17 – Planning the performance of our Christmas poetry. 04.12.17 – We were paleontologists. We learnt about and then created our own fossils. 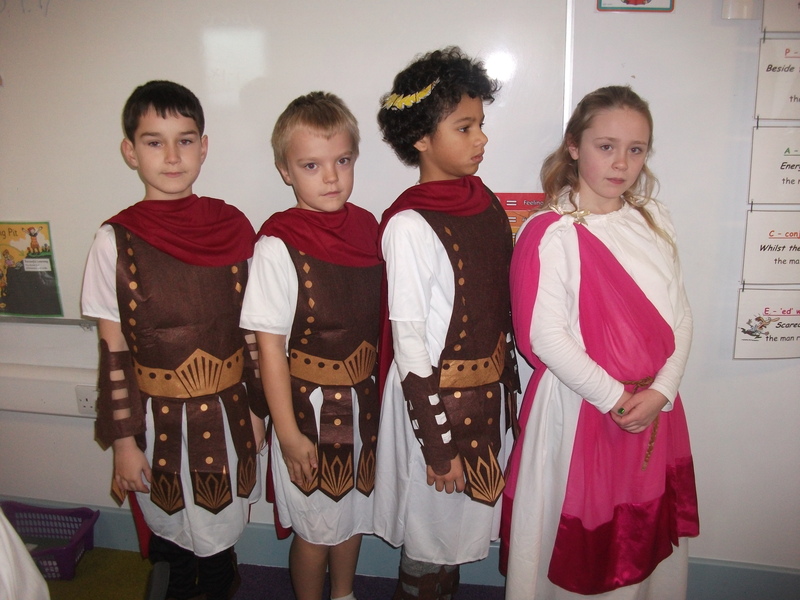 23/11/17 and 07/12/17 – More fabulous drama – the disaster really struck in Pompeii during these lessons. 14/11/17 – We had fun solving multiplication and division problems practically in our groups. Well done 4SS – your teamwork and coaching of each other was brilliant! Welcome to 3JT’s blog. We are really excited to share all our learning with you. Please check our blog regularly to find out what we have being doing. If you would like to leave us a comment, please do so by scrolling to the end of our blog and filling in the box provided. Thank you. This week, we have been trying to find and identify angles in lines, shapes and objects around the classroom! Not only can the children tell you what right angles are, they are able to explain what acute and obtuse angles are too! We are slowly getting ready to write our very own newspaper reports and today we’ve been identifying and learning about the difference between facts, opinions and quotes. Apparently, 3JT are the best class ever… Fact or opinion? We have finally come to the end of fractions (for now) in Maths. I cannot tell you how impressed I am with all the children, they have remained enthusiastic throughout and have not given up on what is a difficult topic! Their efforts have been rewarded as they now all know lots about fractions! Here’s some of our children finishing with a little ‘adding and subtracting fractions’ game. 03.05.17 – There’s a Viking in my bed! In English, we have been reading the hilarious book ‘There’s a Viking in my bed’. The children have absolutely loved reading this story and have create some amazing work. They have written their own descriptive story setting, learnt lots about the different characters and prepared their own questions as they got the chance to meet a real Viking from the story! Year 3 had an amazing time at Temple Newsam today. We were lucky enough to be taken on a tour of the house by one of the experienced members of staff who told us lots of amazing stories – some spooky ones too! We also made our very own Viking shields out of clay and improved our drawing skills by sketching things that we saw around the house. The children have had a blast learning about Isaac Newton and they showed off all they had learnt about gravity during poetry this week. All the children had chance to perform their poems – I was blown away by how amazing they all were! Today, we were helping Nestle understand what fraction of each colour Smartie are in their tubes. As part of our ‘child initiated learning’, the children decided on exactly what they wanted to investigate as long as it was ‘fraction’ orientated. They had great fun and found out some interesting things and were even treated to some spare Smarties at the end of the lesson which made it all worth while! The children have been enjoying a well earned break from all the fantastic work they have been doing this week. It’s amazing to see them all playing so sensibly together and enjoying their time at school. Can you spot the person who was enjoying her sweet for beating her times-tables score a little too much? Welcome back – We hope you had an amazing half term! It’s great to see the children have come back refreshed and eager to learn. Our new topic is ‘Mad Science’ and we have been looking into the life of Sir Isaac Newton and his discoveries. Today we learnt about gravity and the effect it has on objects. We made our owner ‘spinners’ and investigated different lengths and sizes. The children seemed to have great fun! We had a great day learning about using the internet safely and some of the parents joined us which made it even better! We did a lot of group activities based around ‘first impressions’ and the dangers of posting things online. Using their own emojis, the children then created a huge poster that gave people tips on how to stay safe when using the internet. Thanks as always, to all the parent that joined us – we hope you enjoyed it! Today we investigated Roman numerals. The children worked out what 1 – 12 is and used this to create their own clock which they have taken home to continue their learning further! Telling the time has been a real tester for some of our children but they have tried really hard and made great progress! Well done to the three children that have made it onto this week’s Wall of Fame for their outstanding work in class! 19.01.17 – Multiplying in Maths! This week we have been focusing on column multiplication. The children have done a superb job and are multiplying large 2 digit numbers by 1 digit numbers using the correct methods. They have also been able to use their knowledge to do some problem solving including word problems and missing number problems. In English, the children have spent their first 2 weeks back focusing on ‘The River’ story. This book has provided us with lots of opportunities for descriptive writing which the children have done great with! Our main focus has been using adverbs/adverbials, adjectives, conjunctions and prepositions. To help write independently, a lot of the children wrote sentences on their white boards before editing them and writing them up in their books. 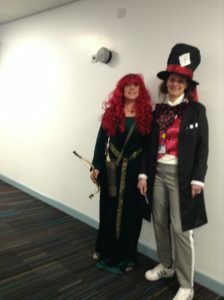 Today we launched our new topic and all the children came to school dressed as explorers. The outfits were amazing! Thank you for your efforts. Over the course of the day, we did some super activities including painting, map making and descriptive writing. 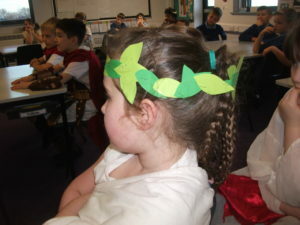 The children were really engaged and learnt lots. The children had an amazing Christmas party to finish 2016 in style. They had fun playing lots of games, teaming up to take on the Christmas quiz and having some party food to really get in the spirit. It has been a wonderful start to Year 3 and the children have been a delight to teach. All of 3JT would like to wish you a Merry Christmas and Happy New Year! Unfortunately, due to the sports hall being used for rehearsal and the bad weather preventing us from going outside, we were a little stuck for space for PE this week… But that didn’t stop us! After a quick move around in the classroom, we were able to do some, more gentle, dance moves. The children became robots and made gestures to demonstrate the sorts of movements a robot would make. As part of our DT, we have been looking at healthy eating, linked with Christmas food! The children learnt about the different food groups before designing a healthy Christmas plate. Thanks to all the parents who were able to stay with us this morning in 3JT – it made it even more enjoyable and the extra hands were put to good use! We continued our research into how rocks are formed by making our own, using CHOCOLATE! Safe to say the children certainly enjoyed it. It’s been great to see all the children wearing their spots today to support Children In Need. In 3JT, we have been writing ‘Haiku poems’. Some of the children presented theirs in assembly, in front of the rest of KS2. 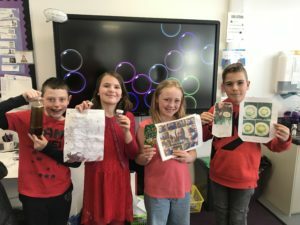 To round off our History, the children learnt about the Battle of Hastings and are ready to recreate the battle between the Anglo Saxons and Normans after making their own shields – they turned out fab! Over the last 2 weeks in English, we have been reading the story of Beowulf. The children have absolutely loved this book and spent today’s lesson ‘hot seating’. They acted as though they were Beowulf and were asked questions about his adventures and battles with all the terrifying monsters! Today we had a visitor come in from the Leeds Museum Discovery Centre to run an exciting, hands-on workshop with the children. They learnt all about how rocks are formed, looked closely at and drew fossils and even made their own sand! All the children really seemed to enjoy what they were doing and were able to discuss what they had learnt. What an amazing day we had launching our new topic ‘Anglo-Saxons’. 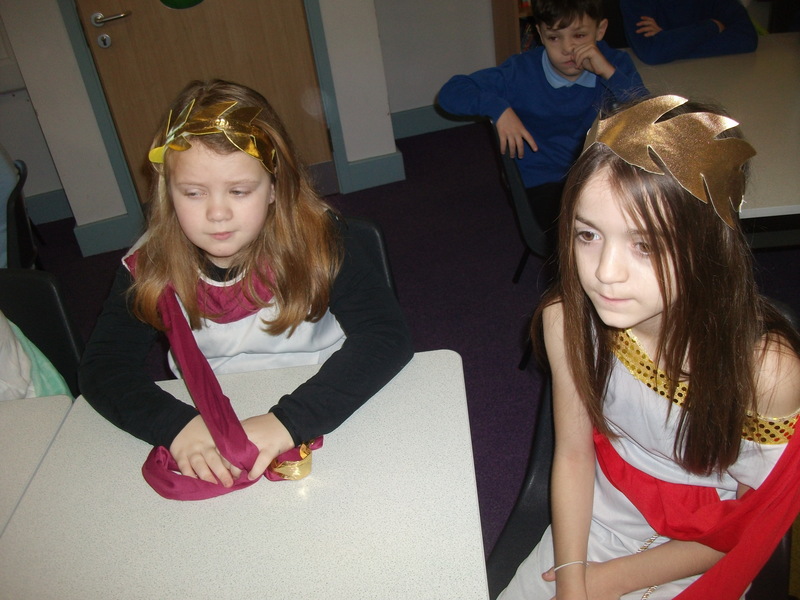 The children learnt lots and had great fun making clothing, writing codes using the Anglo-Saxon alphabet and inventing games similar to the ones in which they would have played all those years ago. I have really enjoyed looking at our class blog and showing my mum and brother. l have really enjoyed our learning. You are also the best teacher I have ever had, thank you! I Like mrs pearson standing in the bin and spreating Jam on the bred. I really enjoyed looking at our blog and pictures of the deep. I liked stay and learn. I liked looking at the blog. Fantastic job Miss Cowley! Very nice videos too, enjoyed them all!